- based on Gimp 2.4.3 stable version. - all GimPhoto 1.4 and 1.0 great features. - NEW 100+ Web 2.0 gradient set for easier and ready to use gradient. - NEW Vista Gray GTK Themes for better looking and more compatible interface. - NEW GimPad 1.1 that will make Gimphoto scattered window to single MDI ala PS. - based on Gimp 2.4 stable version. - all Gimphoto 1.0 great features. Gimphoto using latest development version of GIMP 2.3.19. Gimphoto using Clearlooks GTK Engines (http://clearlooks.sourceforge.net/) which bring flat smooth modern looks. Clearlooks GTK engines is use by RedHat and Ubuntu to bring modern professional look to their desktop environment. Default GTK engine is look bad under Windows 2000 but bring original Windows look and feel under Windows XP. For GTK Theme, Gimphoto using T-ish theme by Toni Milovan. T-ish theme bring more professional look and feel for GIMP under Windows. This will bring more excitement to GIMP user because they now can change their GIMP UI themes easily. More themes can be downloaded from http://www.gnome-look.org and I plan a tutorial about howto change Gimphoto themes. Gimphoto using GIMP Original Menu Naming Convention. Gimphoto NOT CHANGE the menu naming convention, Gimphoto only change menu structure. 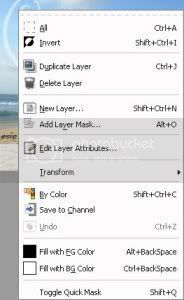 New Modified Right-Click Menu - most useful tools is ready in this popup menu. with additional best and useful brush packages, gradients, patterns and tutorials howto create and using it. 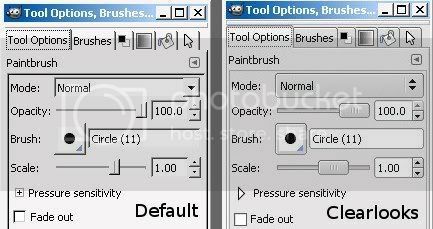 modified default brush set, more complete set useful brush, this will be expanded in the future. more tight selection of useful included gradients. If YOU have more IDEA or SUGGESTION for Gimphoto, SHOUT IT OUT! :) I love to hear it and use it to improve Gimphoto, so submit your opinion directly at SUGGEST section. because when GimPhoto created the latest version is Gimp 2.3.19 and when GimPhoto 1.0 released, Gimp 2.4 still under release candidate (Gimp 2.4 RC1) so not considered as stable released then GimPhoto stick with Gimp 2.3.19 :) next version will using Gimp 2.4...so stay tune! I saw a mention somewhere about GimPhoto either IS or WILL BE 16 bit. Which it it? thank's :) i will include it with next version of GimPhoto. hi, i really like the effort you put into it, i recommend people this over gimpshop. :) just a few questions how did you get the GTK themes to work in windows? Tremendous job. Is GimPhoto already built for pre-press use? Thanks, but i don't understand with "for pre-press use", if you mean CMYK separation support then the answer is yes, GimPhoto already included Separate+ plugin by default then it can do CMYK separation. History brush like the one in Photoshop. I use that feature quite a bit when desaturating colored images, then reapplying certain colors. Hi, is there a possibility to get gimphoto speak german? i never use GIMP with other language so i don't know how the GIMP translation works. is the GimPhoto menu back to GIMP original menu layout when language set to German? Can one add scripts, plug-ins, brushes, patterns, and or other stuff that people have made for the original Gimp. what scripts, brushes, or patterns that you want to be included with next gimphoto version? What about scripts that could make planets. Thank's for your suggestions, i will consider it. I wonder which is good to use. This Gimpphoto or the original gimp. They are not having a competition are they? if you like original GIMP then you better go to http://www.gimp.org. just like Linux that has many different distro such as Ubuntu, Fedora, OpenSuse, Mandriva, Slackware, etc. Each is tweak toward specific user needs, there is no competition, they are complements each other (even Linus, Linux creator DIDN'T want Linux to be only a single distro, he said more distro is better). GimPhoto is created to help users that already using Photoshop at work or at school but can't afford to buy it to be able using it at home. So rather they do piracy for Photoshop then it's better if they use modified GIMP. but for new users that never using other image editing software then it's better to use the original GIMP (http://www.gimp.org). Gimphoto & Gimpad download link doesnt show anything in Google Chrome browser, so I had to open the download page in an alternative browser (Opera, FF). This is incredible. I am so happy that I found this app. Excellent work. Could you please start a list of compatible Photoshop plugins that will work with this version of GimPhoto? Also, is development still active? Will 2.6 be ported anytime soon? it's weird because i also use Chrome browser and i can see GimPhoto and GimPad download link. 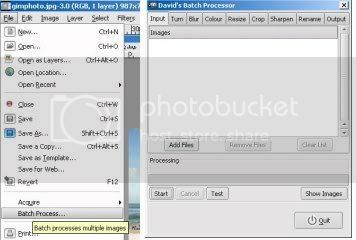 Many Photoshop plugins is compatible with GimPhoto using PSPI, but it only for plugin with .8bf extension. The only error i found is on preview window that used by plugin, maybe it will be fix in the next version of PSPI. I still actively develop it but daily work and life gives me little free time to working on it. 1. where are the liquify filter? 2. this version run in linux and windows, the same? 1. GIMP don't have Liquify filter, the similar plugin is called IWarp. 2. GimPhoto for Linux and Windows is based on same source, all functions is the same but only normal map filter and PSPI (support for Photoshop 8bf plugin) that not available under Linux version. are the key-commands the same as in Photoshop? This is most important for me, cause I use a lot the keyboard commands in photoshop, which do crazy things when I press the same in normal GIMP. 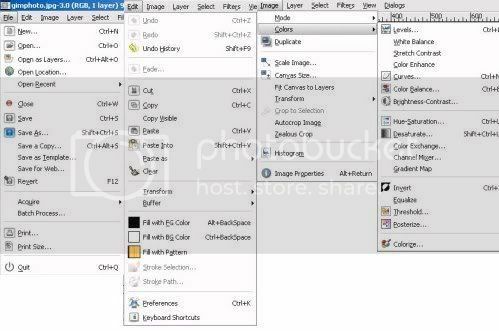 Like ctrl+D does not deselect (Photoshop), but duplicate the image (gimp). oo Thank You sooooo much for your work! Which is better? (as in easier to use? )Gimp or Gimpshop. I already have Gimp but I don't think I really understand the icons and such. I don't use photoshop much but I think I understand that better because I've been using a site called Aviary which is pretty good but my internet is slow which makes it bothersome. Also, does Gimp/Gimpshop have the eraser tool? The one which erases to make it transparent? I think I like it better when you can start with a canvas which is transparent but I don't know how to do that. Also, which app runs smoother? Gimp or Gimpshop? my computer (windows XP) jams easily and I hate it for that but I can't do anything about it. maybe you can try GimPhoto :) GimPhoto is using newer version of GIMP than Gimpshop (GimPhoto and Gimpshop is different program). 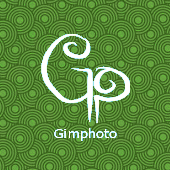 GimPhoto have eraser tool to make transparent background. GimPhoto runs very smooth on Windows XP even when using older hardware because it have lower hardware requirements than GIMP or Gimpshop. What is the tool for magnetic lasso in photoshop?? the closest one is Scissors Select Tool. I tried looking for an answer but could not find anything solid, via google or on here. Is Gimp Windows 7 compatible? Yes, GimPhoto is compatible with Windows 7. 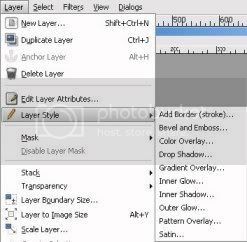 I am use to a PhotoshopElements command of Control+G (to group one layer to another) and then I would use Control E to merged the grouped layers. What would the correct commands be in Gimphoto please. BIG THANKS (love Gimphoto...lot easier than GIMP). i'm sorry but Gimphoto still based on GIMP 2.4 that not have Layer Group function. maybe we still need to wait until next version GIMP 2.8 release that support Layer Group function. sorry, i don't know because i don't have tablet. Can you re-focus your picture once you zoom in so it doesn't look so pixelated? I have met lot of photoshop users..and no way they are going to convert to Gimp...they would rather used pirate version of it..
Great work and love the new GimPhoto! Might already be a feature: but is there a "healing brush" tool (where another part of the image may be used as the source for a brush - very helpful for editing out objects). 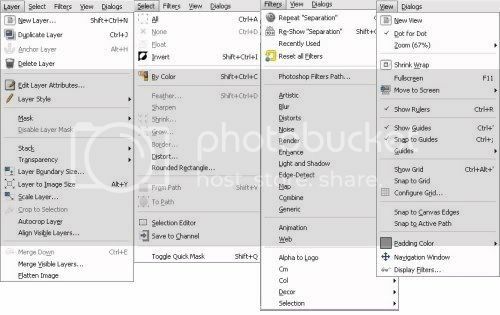 Akhirnya ada juga developers yang bikin gimp menjadi mirip dgn PS. Made In Indonesia pula. Hello everybody. Just a question : Where can you change the language? Sorry for now Gimphoto only support English language. HI Zenith, does Gimpphoto support sequence paint and retouch for clean up and a image sequence ? I think I like it better when you can start with a canvas which is transparent but I don't know how to do that. very helpful for editing out objects).